In 1849, James B. Francis, an American engineer, set out to improve upon the design of the few hydraulic turbines operating at that time in France and the United States. Most of the earlier turbines were so constructed that the water entered their runners at the centre and flowed radially outward. The turbine that Francis built following his investigations allowed the water to enter the runner from the outside and to flow inward through the radial blades. 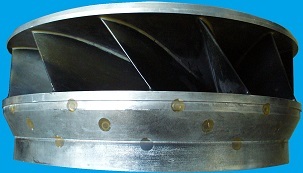 The Francis design was subsequently improved by changing the shape of the runner blades so that the waterwas turned from a radial to an axial path within the runner, rather than outside it. 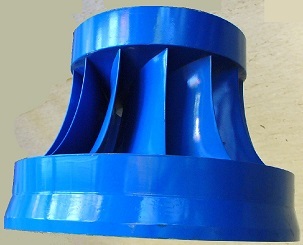 During all the changes made of this type of turbine, it was the name of Francis that became, and remained, associated with it. 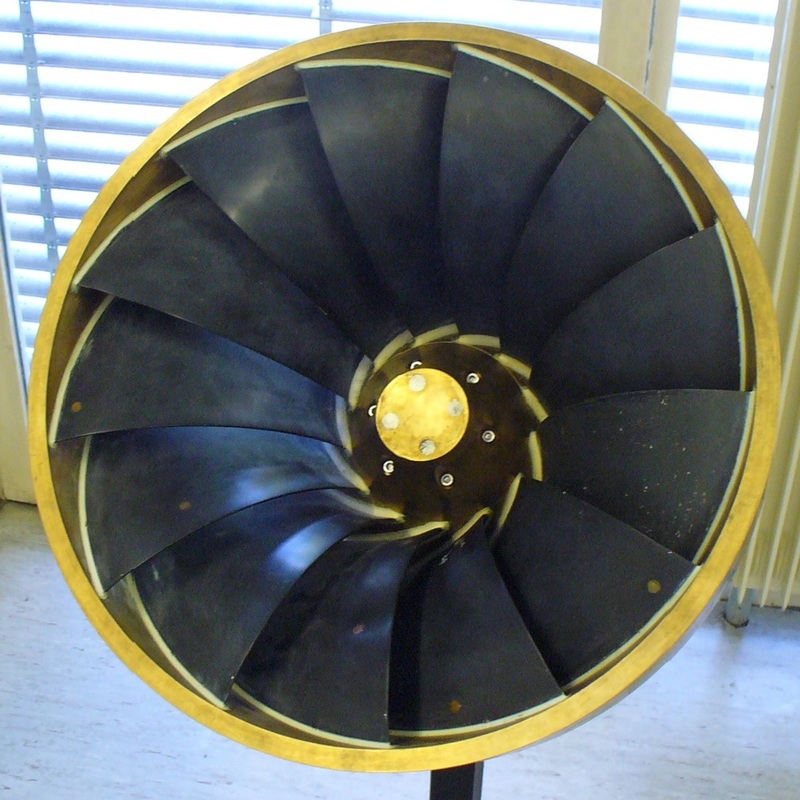 Reaction turbines are driven by a combination of velocity and the pressure of the water; the Francis turbine belongs to this class. The water passages between the runner buckets are simultaneously and continuously filled with water. As the water flows through the runner, its velocity is changed both in magnitude and direction, which produces a force on the runner blades. 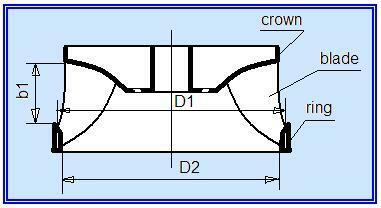 Important developments in Francis turbines followed the introduction of thrust bearings capable of carrying very heavy loads. Up to that time, hydraulic turbines of any size had to have horizontal shafts with journal bearings and double runners to counteract each others hydraulic thrust. The large, high-powered, vertical turbines that followed the advent of the new thrust bearing were made possible by its ability to cary the tremendous load of the generator rotor, shaft, turbine runner and hydraulic thrust. at the bottom, a surrounding band (ring) connecting the lower ends of the blades. The proportions of the runner vary with the head, power, and speed, for which it is designed. Francis turbine runners are usually one-piece steel casting, although in certain cases runners are constructed by welding cast steel or plate steel blades to the crown and band. Very large runners may be made in sections, to conform to shipping restrictions or because of their weight.